Thank you for devaluing my hard work. In one instant, you went from supportive friend I was probably itching to talk to about my work to “that jerk” who once again reminded me of the ignorance of some writers. You are the ones who make me hesitant to admit that I am a self-published author when I am damn proud of my work and what I have accomplished in a little over a year. Thus far in my fairly short career as an author, I have received tons of support from friends, fellow writers, and even people I met through Facebook and Twitter. I’ve even gotten messages saying how people loved my work or my characters, which made my day, but what always sticks out are the friends whose reactions surprise you by how subtly patronizing or rude they are. They stare for a moment as the words “self-published” leave your lips, and with a small chuckle and glance to the side, they mutter, “That’s great.” Then either go off topic completely or ask you why you are not saving yourself for a traditional publishing contract like you’re supposed to do. Well, I don’t want to. I want my freedom. I want to control all aspects of my work. I don’t want my characters homogenized or my work shelved after it doesn’t move twenty-thousand copies in a month. I don’t want my work’s worth to be solely valued for how much someone else can make off it. Yes, I could have possibly ended up with movie deals or a display in Barnes and Noble, but more than likely, that wouldn’t have happened even if I did go the traditional route. Thank you for devaluing all of the work I put in to making that book successful. Yes, anyone can slap a book on Amazon, but that doesn’t mean it will sell, and by saying that, I have to wonder if you have any idea the amount of work that went into slapping that book on Amazon. First there were the hours I spent writing that book, editing it, having beta readers and an editor take a look at it. The amount of hands it passed through alone should be enough to impart some legitimacy to my endeavor. Then, I worked with an artist to create my covers, and I formatted both versions of the book myself (ebook and paperback). What takes an entire publishing team at least a year to do, I do in a few months. You have no idea how much I do, and I don’t think you care to know. While you’re waiting for that agent or publishing house to respond to your query, I’m working on building my business. More than likely, I have never said anything negative about your thousands of query letters or that I think your time would be better spent self-publishing, gaining a following and presence, and working on your next book even if I’ve thought it. You may not know it, but a lot of authors self-publish and traditionally publish and they get those contracts because they have proof their books sell. I may have even sent you links to open submissions or contests to help you while you chose give me a patronizing pat on the head. I have proof that my way is working. I have sales and fans and people who like my work. While you could say anyone can find someone who will like their work no matter how bad, just know someone could say the same about you. For the past year, I have had my books on only Amazon/Kindle because I wanted to be enrolled in their program KDP select, which allowed me to run sales and for others to download my book via Kindle Unlimited, which gave me a certain amount if the reader read past 10% of my book. Honestly, I have no complaints about being strictly on the Kindle (along with paperbacks), but I know that many of my readers do not use a Kindle. This is the main reason I decided to branch out. I didn’t want to limit my audience to my own preferences, so I decided to look into services that distributed to other ebook servces. There are basically two choices: Smashwords and Draft2Digital. When I first published The Earl of Brass, I decided to get my manuscript professionally formatted, so I could upload it to Smashwords. I paid less than $50 for formatting, but despite being professionally formatted, Smashwords still wouldn’t release the story to iBooks or put it in their premium catalog, which is reserved for perfectly formatted manuscripts. No matter how many times I or the formatter tinkered with it, it still wouldn’t go through. I gave up and pulled my manuscript off Smashwords and stayed exclusively on Kindle. I was frustrated and not particularly willing to try to branch out again despite possibly finding a wider audience. At that time, Smashwords was the main deal because they branched out to the most services, but since then, Draft2Digital has stepped up as a viable alternative. I’m trying not to make this a PSA about how wonderful D2D is, but I have to gush over how much easier it was to use than Smashwords. Instead of having to feed my manuscript through a “meat grinder,” which usually kicks it out telling you what is wrong with the formatting of the manuscript, D2D allows you to simply upload a word document, and they convert it to other formats. No following a 200 page long style guide, no meat grinder, no putting my head through the plaster with frustration. I was in heaven. It would still be prudent to use a cleanly formatted word document (12 pt font, times new roman or garamond, 1.15 spacing, and justified), but the process was so easy. At first, I was suspicious. How great could it be if it was that easy and they only take a small royalty? Well, they may not distribute to ALL of the sites Smashwords does, but it distributes to these major distributors: iBooks, Nook, Scribd, Kobo, Tolino (big in Germany, which has a high English-speaking population), and the Page Foundry. 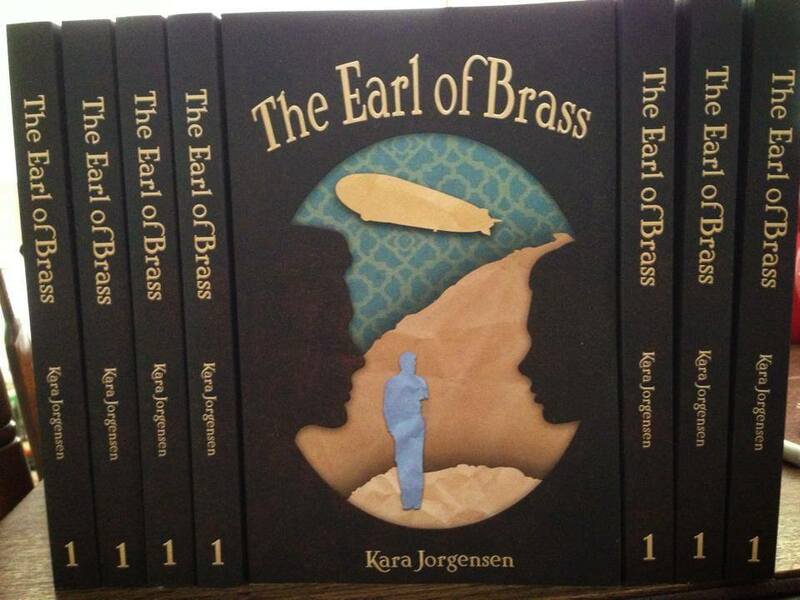 I uploaded The Earl of Brass on the 9th, and by the 10th, it was on all six of the platforms. It even automatically created a table of contents for my book by searching it for the distinctive bolding and font size I used on chapter headers. It was fantastic. Okay, well, I lied when I said I wouldn’t gush. The downside is that unlike Smashwords, D2D does not have a centralized store/directory where I can directly sell all of my books in epub or mobi format. Hopefully in the future they will open that service. One of the things I love is that they are still expanding their distribution channels and website, so who knows if D2D will catch up with Smashwords in terms of distribution channels. For now, I’m content to have my books out on seven different channels along with paperbacks. Some may wonder what the point is of diversifying platforms when Amazon has such a high percentage of the market? Well, I want my book in as many readers’ hands as I can, and I can only do that if I hit most of the major platforms. More than likely, Amazon will still be where the majority of my sales are, but I know several people personally who use a Nook or Kobo. Plus, I want my books to be perceived as professional, and while Amazon is great, a professional author should also have their books on other platforms (or at least that is what I think). I want people to be able to read my book and not have to download a special app to do it. 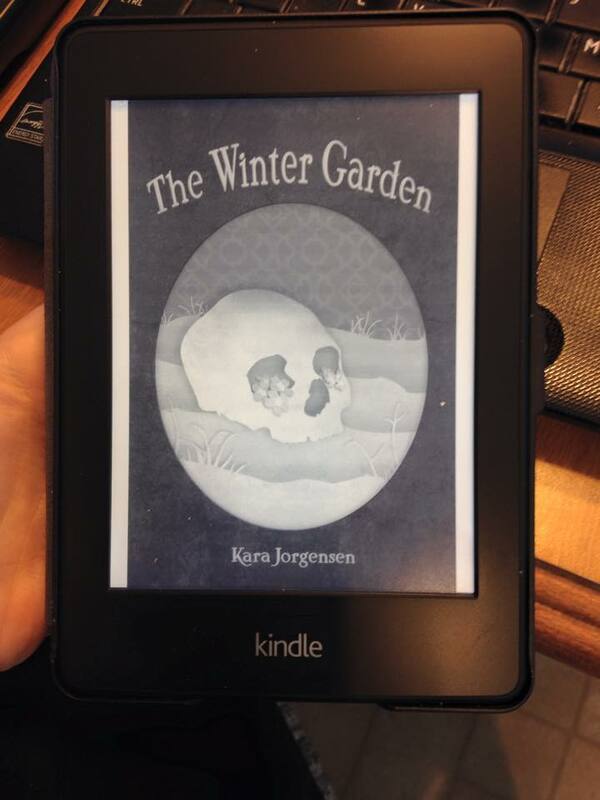 Over the weekend, I plan on uploading The Winter Garden as well, but it doesn’t faze out of KDP Select until the June 12th. By Sunday, it should be live on iBooks, Nook, Scribd, Tolino, the Page Foundry, Kobo, and Kindle in ebook form. 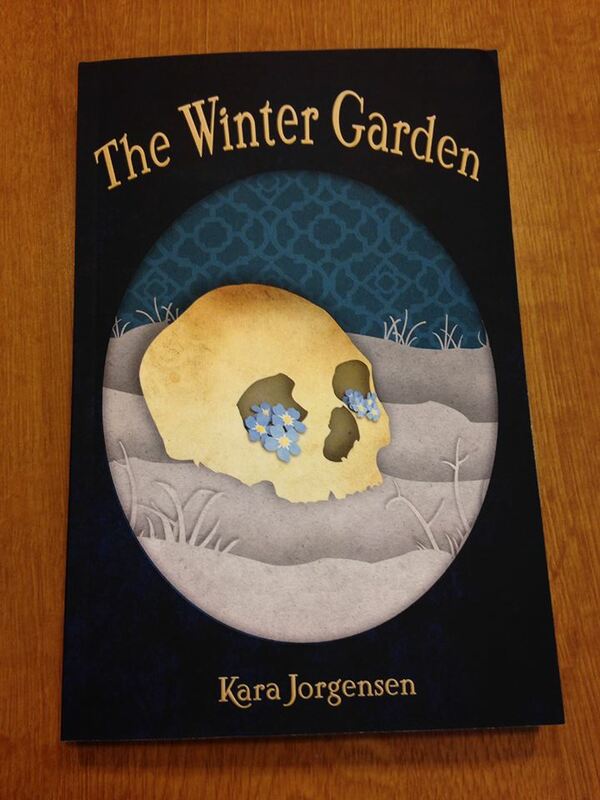 If you’re interested in picking up a copy on these new platforms, please head to the tab at the top of the page marked Buy Links where all of the ebook links have been updated for The Earl of Brass and will shortly be updated for The Winter Garden as well. The other day, I was required to read Virginia Woolf’s “Professions for Women” and A Room of One’s Own for my Women and Autonomy class. I’ve read them both several times over the course of my schooling, but after publishing, I think they resonated more. Both pieces discuss the issues and hindrances women have in the world, particularly the writing/publishing world, and despite the works being written about eighty years ago, I think a lot of the problems still persist. Woolf discusses the prejudice women face when writing because the literary canon is male-dominated. The publishing world was established by men, for male works, and often the only way for women to enter that field is through subversion. In the 19th century, the Bronte sisters wrote as the Bell brothers in order to publish their works, and today, writers like J.K. Rowling use initials when publishing in fields that are “not for women,” like science fiction and high fantasy. If Rowling was writing romance, chick lit, or bodice-rippers, then she could have easily used Joanna Rowling, but because she was writing a story about a young boy in a magical setting, her publishers believed her book wouldn’t sell as well with a woman’s name on the front. Pfft, I mean, women don’t write fantasy well, right? She adopted the initials J.K., which relate back to her real name, but they also harken back to J.R.R. Tolkein, one of the fathers of the fantasy genre. When Rowling decided to branch out into crime novels, she switched pseudonyms to a outright male name. Why would she do that if her name is already famous and would draw crowds? Well, crime fiction is another genre where women are often kicked to the curb. Unless you’re someone like P.D. James (neutral pseudonym) or Sue Grafton (whose female detective hit me as a man masquerading as a woman), you will probably not be taken seriously. To break into this genre, Rowling and/or her publishers believed she had to be a man to do so. Sadly, I have seen this in real life. At a book fair, we were rained out, so I was parked inside next to a huge table of female romance writers. As people walked past my table where I sat with my boyfriend (who came as a second set of hands and a coffee-runner), they asked about my little brown book… to my boyfriend. Quite a few people thought he was the author. I wondered why, especially when I was the one trying to engage customers. Did they think I was some lackluster Vanna White? My hypothesis is that my little brown steampunk novel is not what one would expect from a female writer. No stock photos of women in ballgowns or half-naked couples, which is what people seem to expect from female authors. I recently read an article saying that in the New York Times’ book review section, books by men make up sixty-something percent of the reviews. Why would there be such a disparity? Men’s work couldn’t possibly be that much better than women’s writing, but the explanation may lie in what the New York Times deems worthy of review, literary fiction. The definition they are using of literary fiction is a novel that doesn’t fit any genre conventions (no wizards, no space travel, no steam-powered devices, and no straight up romance. Plot vs. character driven is irrelevant at this point). It seems men write genre fiction and women do not. This little tiff between lit and genre can be seen in Kazuo Ishiguro’s novel The Buried Giant and how he made the comment that it wasn’t fantasy and that his previous book wasn’t scifi when the book had elements of it. Ishiguro is automatically a literary fiction writer despite the fantastical elements in his work while a writer like Ursula Le Guin openly states her books are scifi. Why is Le Guin okay with her books being “genre” fiction while Ishiguro isn’t? Because genre fiction is the niche women have carved for themselves over the last century. Even though men still dominate certain genres, women authors are more likely to be found in the genre categories of Amazon than men. Even though amazing authors like Le Guin, Rowling, and Rice write in this area, the canon and literati consider it lesser than “literary” fiction. The same is emerging with self-publishing. More women are self-publishing than men. Why? Because they can subvert the traditional publishing industry, which has not been as open to them as it has been for men, and self-publishing is the niche where they can succeed. Strangely, Woolf self-published all those years ago. She had the right idea, and it’s lasted until today. You cannot know how happy I am to be finished. Oh, don’t worry, I’ll be finding typos from now until June like spinach in my teeth, but at least the major editing is done and the “final” file has been uploaded to Kindle’s website. Wow, 2014 has been a crazy year for me. A great year but a whirlwind of insanity at times. When you are an indie or self-published writer, you come across a strange phenomena. Should you tell people you are not traditionally published unless they ask? For several decades, self-publishing was referred to as “vanity publishing.” Vanity publishing was when a writer would pay to have their books printed in limited runs, and they would then try to sell them. The vanity aspect comes from the stereotype that self-published authors were people who were not good enough to be published by a major publishing house or were hipsters who were too good for the publishing world and wanted only limited copies of their books. Modern self-publishing is quite different. Self-published authors are not under contract with a publishing house, but now, this is mainly because they choose not to be. By self-publishing authors maintain all artistic control over their work from the cover, to the formatting of the book, to the content. There is no interference from editors or agents telling them what to write next or what to stay away from. Some writers do fit the stereotype and self-publish because they have been rejected repeatedly by the industry, but most authors choose it for the freedom and the profit margin, which is often better than what the major publishing houses are willing to give. Sadly the stigma of self-publishing being an act of vanity still exists mainly because most people don’t realize how common self-publishing is with sites like Amazon, Lulu, or Lightning Source. After publishing The Earl of Brass, I have found myself holding back when someone mentions the publishing process. I’ll skate around it by nodding and saying that it was a lot of work and took a while to get ready. When I have mentioned it was self-published, people who were enthusiastic suddenly deflate, as if the book lost its worth because it wasn’t chosen by a major publisher to be printed. Because I am new to this phenomena, I am still unsure how to respond to it, but I think the best way is to have people read it, hopefully enjoy it, and then say it was self-published. That way, they realize it wasn’t self-published because the quality was poor but because I wanted to do it that way. As I explore my experiences in this endeavor, I will create blog posts about what the process was in publishing in paperback and ebook form and how I prep my books for publication. If there is ever a topic anyone wants me to explore, just leave a comment or message, and I will try to write a hopefully helpful post. I have not been a very good blogger recently. Keeping up with posts is never easy for me, but I have a grand announcement, I published a novel. When Eilian Sorrell, a promising archaeologist and the eldest son of the Earl of Dorset, loses his arm in a dirigible crash, he fears he will face a bleak future among London’s aristocracy. On a quest for normalcy, Lord Sorrell commissions a prosthetic arm but finds the craftsman is not what he seems. After the death of her brother, Hadley Fenice takes over his prosthesis business but knows it will be an uphill battle as women are discouraged from doing man’s work. In return for building Lord Sorrell an automaton arm, he offers her a chance at freedom by following him to the Negev Desert under the guise of a man. But what lies beneath the desert is more precious than potshards or bones. As they venture deeper, they discover a society where the path of life is not governed by gain but by passion. When imperialistic invaders come in search of a new colony to pillage, Eilian and Hadley are forced to defend their fleeting glimpse of paradise. 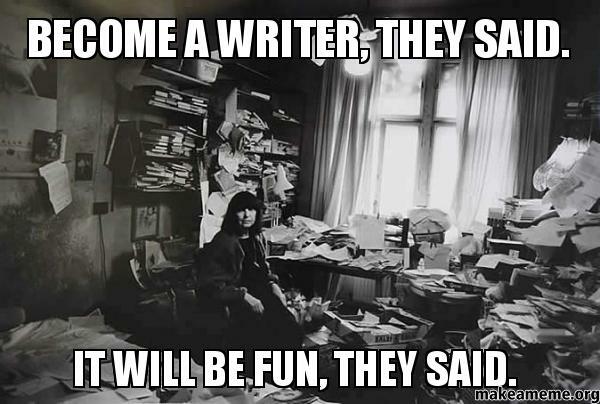 In the coming weeks, I will be writing on self-publishing, my current and future work, and how it is to be a somewhat struggling writer looking for an audience.